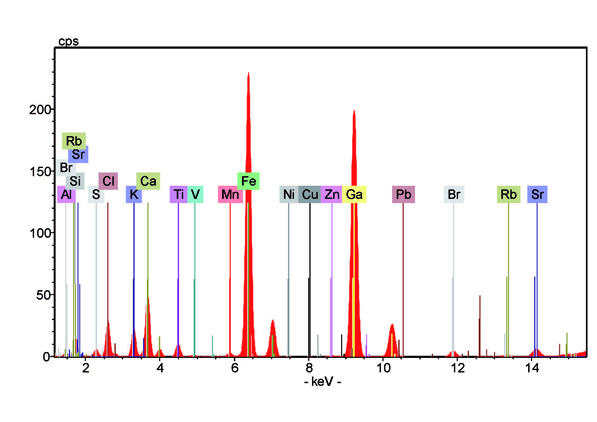 Total Reflection X-Ray Fluorescence (TXRF) is a surface elemental technique that can be used for ultra-trace metal analysis of particles or impurities on smooth surfaces. TXRF is an energy dispersive technique. An incident beam impinges on a sample fixed on a polished substrate at very small angles (< 0.1°) in order to achieve a total reflection of the beam within the sample and the obtained fluorescence photons from the sample are detected. This setup increases the excitation efficiency of the sample and reduces the adsorption and scattering of the beam within the sample leading to a reduced background noise and a higher sensitivity. 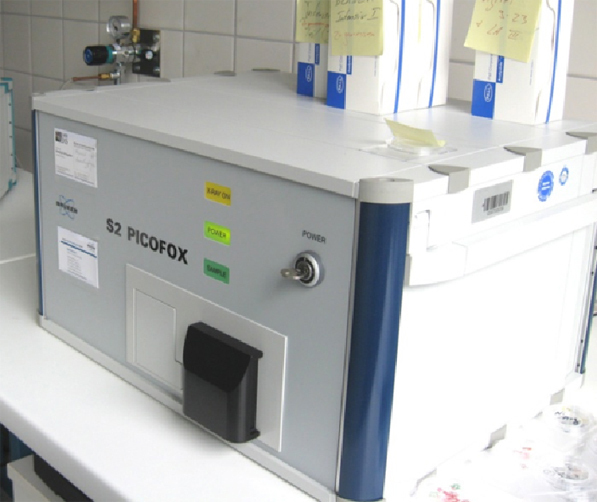 In our lab we use an air cooled portable Bruker PICOFOX instrument equipped with a Mo-X-Ray source. Using the molybdenum X-ray target, PICOFOX is able to measure elements from aluminium to bismuth. TXRF can be applied to liquid, powder and solid samples. 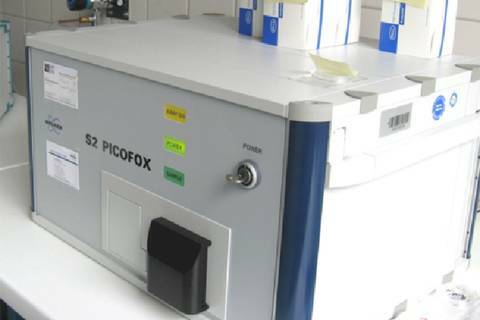 One great advantage of the PICOFOX is its low sensitivity of about 0.1 ppb in liquids and the small sample amounts of ng to pg it requires to provide quantitative results within few minutes. Comparatively to other techniques, TXRF is easily deployable in the field and require very little substance. 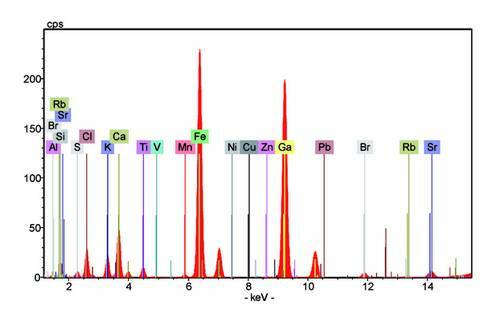 We employ TXRF for trace metal analysis in fine and coarse mode Saharan dust, marine and continental aerosol particles.